Wave in the Breeze earrings are an immediate accessory go-to! Both trendy and unique, you get the best of both worlds. With all the tropical leaf print you’re seeing, you can’t help but add Wave in the Breeze earrings to your collection! 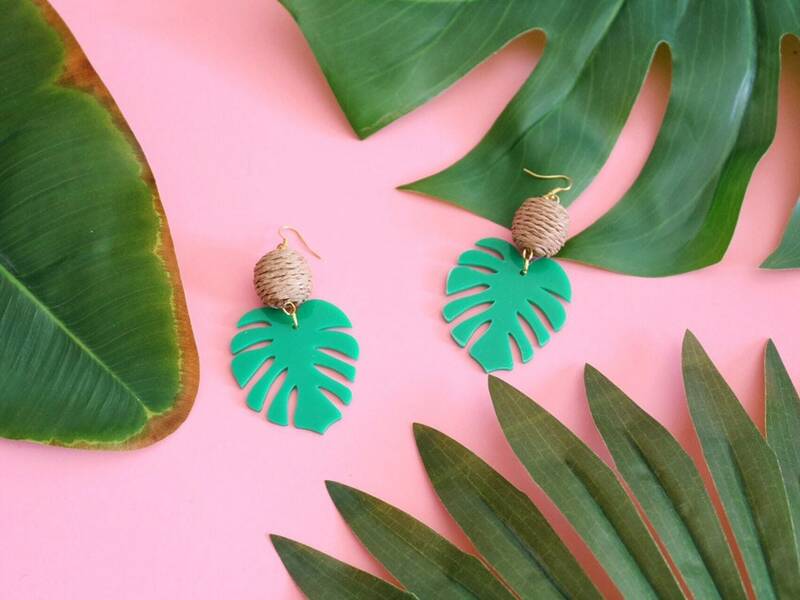 These light and fresh earrings are made with twine wrapped beads and laser cut acrylic monstera leaf charms in bright green. You’ll love the way they wave in the breeze, like a leaf on a tree.